The week’s activities were coordinated by Kath Evans from the Life Sciences Research Network and Professor Arwyn Jones from the School of Pharmacy and Pharmaceutical Sciences. 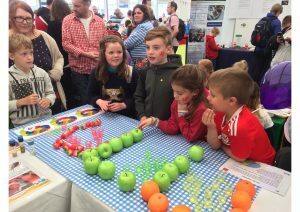 Together they were supported by pharmacy staff, postgraduate students and four pharmacy undergraduate students, who were given the opportunity to engage with the public of all ages. Professor Jones said, “This is excellent training for these students, as careers in pharmacy often involve having to effectively communicate complex science to patients, in a form that they understand”. 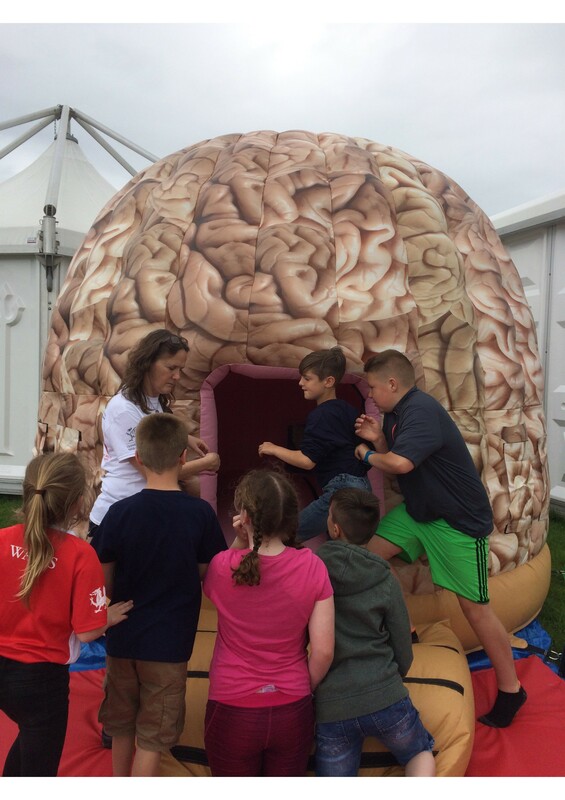 Highlighted at the Urdd was the super complex human brain, healing damaged kidneys, computer modelling for drug discovery and interactive parasite displays. The Giant Brain Dome that was such a hit at the 2016 National Eisteddfod of Wales in Abergavenny featured again and once again proved a very popular draw for younger children who loved to bounce inside the giant brain. It will make another appearance at the 2017 National Eisteddfod in Anglesey. 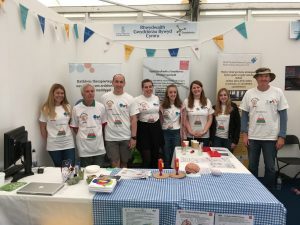 The full engagement team also included postgraduate staff and students from the School of Medicine, and researchers from Aberystwyth and Swansea Universities.